Masters student Ryan Howard and PI Robyn Crook attended the CIAC meeting in Florida from Nov 12-16. Dr. Crook also attended a pre-meeting workshop on policy and welfare of cephalopods in research settings. 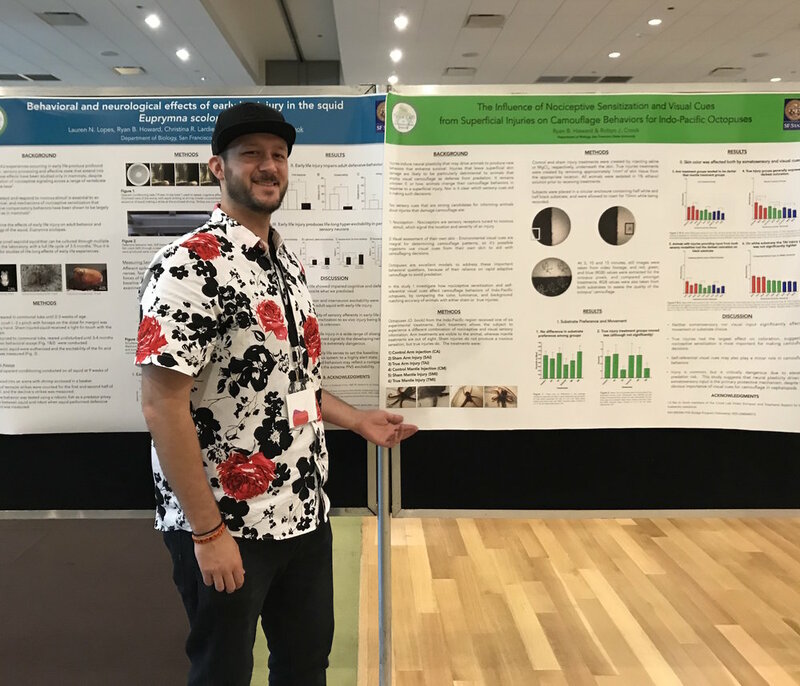 The lab presented three posters, on learning behavior of Eupyrmna, effects of early-life injury on Euprymna behavior and neural excitability, and on how injury affects camouflage decisions in octopuses. The lab also gave a lightning talk on new work on cephalopod anesthesia, presented by collaborator Dr. Lisa Abbo.